The 7″ scale figure has over 25 points of articulation and features the likeness of James Cameron as he appeared during the filming of Aliens. There are a few fun Easter eggs relating to the director hidden on the figure itself: a Canadian flag shoulder patch, the Lightstorm logo, and a Pandora planet patch. 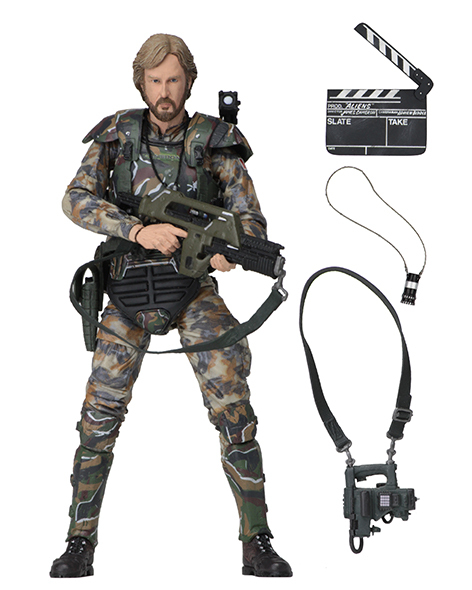 The figure comes with pistol, pulse rifle, and tracking device, plus two “behind-the-scenes” accessories: a replica clapboard and the viewfinder Cameron wore around his neck while filming for setting up shots.